Color is arguably the most powerful element in a design scheme. I’ve studied color and the psychological affects in much detail. The advertising industry, out of necessity has championed the topic and perusing any number of articles on the subject helps add a bit of science behind the selection process. Remarkably 90% of an assessment for trying out a product is made by color alone. Imagine how that notion is translated into interior design. Whether my clients fancy a trendy color scheme or timeless palette, I pull it together with the same arsenal of information. I promise finding the perfect white is not the elusive unicorn us pros claim it to be. Here are my top tips and kernels of advice for to help you venture to the paint wand with confidence. Red (Warm)- Has a physical effect, raising blood pressure and respiration rates. Enhances human metabolism which is why we often see it used in dining spaces. Brighter: more energetic Darker shades: powerful and elegant. Muted forms, are associated with the earth and with autumn. Association with changing seasons: can represent change and movement in general. Associated with the fruit: health and vitality. Yellow (Warm)- Brightest, most energizing of the warm colors. Bright yellow: sense of happiness and cheerfulness. Light yellows: more calm feeling of happiness than bright yellows. Dark & gold-hued: can look antique, have sense of permanence. Blue (Cool) - Light: relaxed and calming. Green (Cool) – Easiest color for the eye to look at. Has a balancing, harmonizing effect. Dark: most stable representative of affluence. Purple (Cool) - Associated with royalty, creativity & imagination. Attributes of both red and blue. Dark: sense wealth and luxury. Light: softer associated with spring and romance. What you see at first glance is the color’s mass tone, but what is less obvious is the color’s undertone. 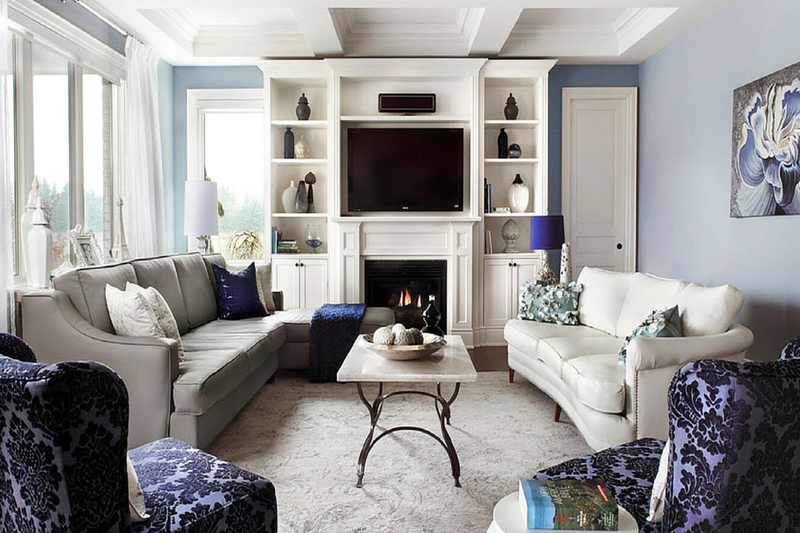 Use undertone to skillfully emphasize or downplay elements within a home. For example a beige with a red undertone will create a harmonious palette when used with other warm and red tones, but will highlight those with cool undertones like greens and blues when used together. Muted, rich, and muddied tones. Depth and strength that speak to permanence. Association with a history of success. Offer a feeling of trust and comfort in consistency. Clean white or grey palettes feel orderly. Very peaceful like that of an art gallery. Nothing can be concealed and the space must be used efficiently to maintain and guest will relate to that message. In motion, change and evolve: reinforce with use of current colors. Obvious color applications apply a definitive date stamp. Youth gravitate toward the most current of everything, color is a powerful way to demonstrate that. Toronto-based celebrity designer and contractor Melissa Davis, is known for her appearances, creative design and reno work produced for various HGTV shows. Her work has been profiled nationally in print publications. Her firm Melissa Davis Design is a multi disciplinary design firm offering diverse services for residential, corporate, and retail spaces. With almost two decades of experience in design, architecture and construction Melissa also held the position Head of The Art Dept and Series Designer on the award winning lifestyle television series Income Property, on HGTV for 8 seasons.